Access to the relevant industry sectors, integrated solutions far beyond the scope of transportation, close cooperation with the carriers: de Vroet, Head of Global Ocean Freight at DB Schenker Logistics, on the success strategy of his business division. Mr. de Vroet, for years the container shipping industry has been haunted by drastic overcapacity; freight rates have hit rock bottom. That should spell good news for you and your team! Initially, of course, lower transport costs are considered a good thing from a customer’s perspective. After all, who is happy about paying more than necessary? But it would be very short-sighted of us to ignore the highly strained situation many of the shipping lines find themselves in. Particularly since the carriers are in effect acting responsibly by investing in new and larger ships that are more economical to operate and ultimately more environmentally friendly. I’m convinced that we need carriers who can work profitably if we are to ensure a sustainable and healthy container shipping industry. Otherwise we will continue to see the same volatile rate developments of recent years. ­Carriers will continue to implement hefty rate increases throughout the year in order to compensate for deficits on routes with low utilization. I’m referring in particular to the routes from Asia to Europe. Such volatile price development is not in anyone’s best interest, and certainly not in the interests of our customers. Regardless of the situation, the business area Ocean Freight at DB Schenker has performed well recently. That is correct. In the first quarter of 2014, we achieved high single-digit volume growth figures on a global scale. At the same time, the industry on the whole only grew by between three and four percent. If we take the past couple of years into consideration and look at individual regions, then it is obvious that we are ­making very good progress. Throughout the industry the annual growth rate in the post-crisis years of 2011 and 2013 as far as the Asia/Pacific region is concerned, stood at four percent – our growth rate was nine percent! So what are you doing right? 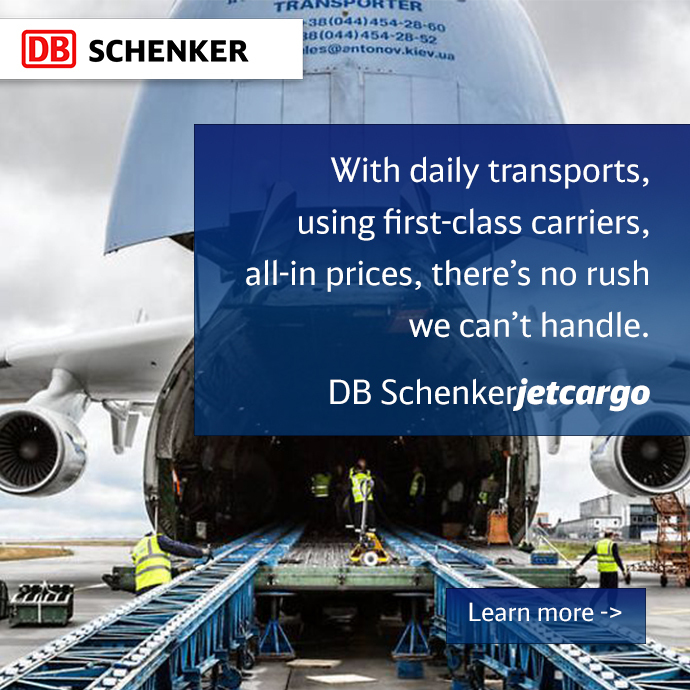 The most important unique selling point of DB Schenker is and remains the ability to provide multimodal, integrated logistics solutions to customers all over the world. We are in a position to cover our customers’ entire supply chain, and here at Ocean Freight we are tapping the full potential. Very often we do that by providing solutions that involve several modes of transport. One example is our product DB SCHENKERskybridge that combines the benefits of ocean and airfreight. Our hinterland connections via rail and road from the seaports are also highly efficient. As far as land transportation goes, DB Schenker excels not least as a result of its dense network. What is the situation in your business area? If we’re talking about container shipping, then the focus nowadays is on just a few large ports, the majority of which are located in China. But we operate in around 830 ports worldwide! That enables us to offer reliable transport at competitive price levels, even under extreme conditions such as extremely tight production deadlines in certain industries. How important is the approach of offering specific solutions for selected industries? It plays a decisive role! Our customers require global expertise and support. And that is what we provide! We are pursuing a clear vertical approach with extensive industrial know-how in sectors like the automotive industry as well as healthcare and consumer goods, but also with respect to industrial and electronics producers or clothing manufacturers and retailers. Our specific industry solutions DB SCHENKERbeverages for producers of wines and spirits, DB SCHENKERreefers for for fresh, perishable and sensitive goods as well as DB SCHENKERrecyclables and our latest offer, DB SCHENKERpvchain for manufacturers of photovoltaic modules, are all performing very well. The companies we work for need their goods transported under certain strict conditions and procedures. A key element of our ocean freight strategy is a dedicated Supply Chain Solutions, where we focus on more than merely the physical transportation of goods. Supply chain also involves the flow of information, which constitutes the basic prerequisite for effective transport. All processes across the entire supply chain are scrutinized using special analytical tools in order to uncover hidden costs and enable savings. … which is why within our DB2020 strategy we are investing heavily in advanced training and personal development. One example is the investment in the expertise and skills of our global Supply Chain Solutions teams, which develop tailor-made solutions jointly with our customers based on their company strategy and top-line objectives. We have also developed specific know-how in partial loads and procurement enabling us to provide the best possible solutions in this area. A sophisticated sea and airfreight-based product like DB SCHENKERicm would otherwise be unimaginable. ICM stands for Integrated Cargo Management – here we offer a Web-based platform for global supplier management. For complete article, go to Tapping the Full Potential!